Angela Merkel is known for not being fond of making decisions under pressure. But on Sunday (12 July), the German chancellor will have to take the biggest decision of her 10 years’ in power: whether to let Greece stay in the eurozone. As eurozone leaders met for an emergency summit in Brussels, only the German chancellor seemed to be in a position to tip the scales one way or the other. Arriving at the euro summit Sunday afternoon, she said she would not seek "an agreement at any price" and insisted that trust is now "the most important value [which] is missing". 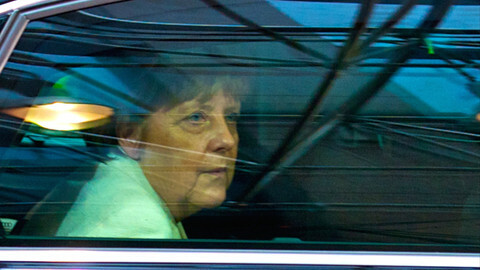 Her ultimate decision will have huge implications for her legacy, for Germany, and for Europe. She will have to choose between a short-term and long-term solution. In the short term, refusing a new bailout for Greece and pushing it out of the euro would probably be good for her in terms of domestic politics. 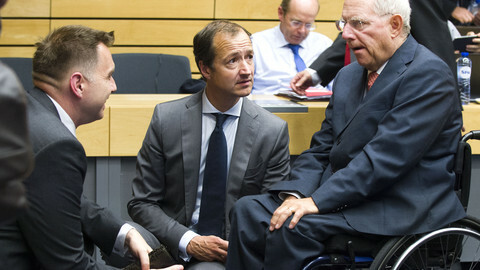 It would maintain her strategic working relation with finance minister Wolfgang Schaeuble, who is a respected and influential figure in the social-democratic CDU-CSU family and who is a hardliner on Greece from the outset of the crisis. It would also satisfy a large part of the CDU-CSU group in the Bundestag, where a vote on a new Greek bailout would likely expose deep divisions in the party. 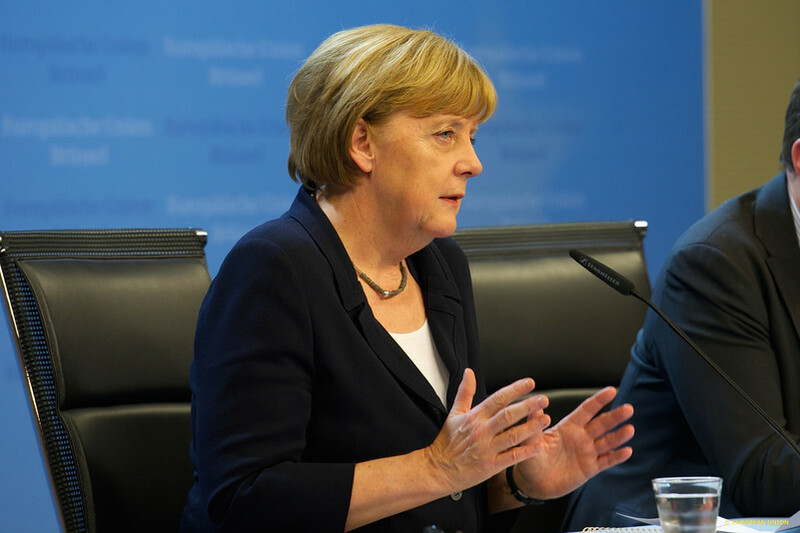 If Merkel takes a hard line on Greece, it would also please the German public. Polls show German society has lost patience with Greece’s lack of progress after five years of financial support, in sentiment inflamed by some German media, for instance, Bild - a tabloid which has campaigned to kick Greece out of the euro. But in the long term, pushing Greece out of the euro would be likely to tarnish Merkel's political legacy, making her the first German chancellor to oversee a backwards leap in the European project. It would also damage Germany's relationship with France. French president Francois Hollande has become the main defender of Greece and even helped the Greek prime minister to file his latest reform proposal to the creditors’ institutions - the EU, the European Central Bank (ECB) and the International Monetary Fund (IMF). 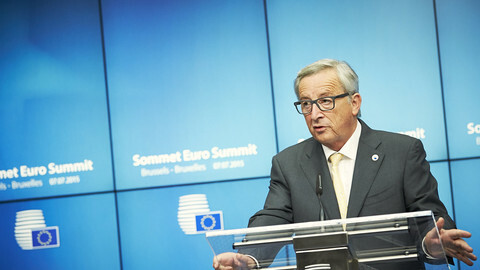 He said on Sunday that what’s at stake "is not only Greece, it is our conception of Europe". More concretely, a Grexit would also cost Germany between €88 billion and €90.6 billion, according to estimates by IFO, a leading German economic institute, and by Standard & Poors, a US rating agency. So far, Merkel has kept her intentions secret and avoided using language that might limit her options. At the last euro summit, on Tuesday (7 July), she said she was "not very optimistic" that a deal could be reached. 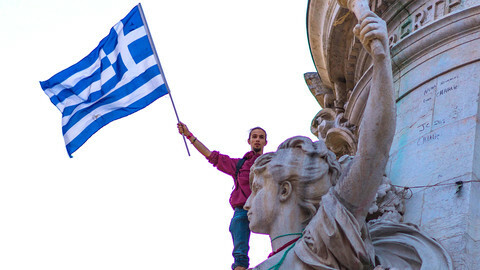 But that was before the Greek government sent its new proposals on Thursday (9 July). She also said, on Sunday, the “challenge” is to “ascertain whether the conditions are there to be begin negotiations” on a new bailout plan. On Saturday, a German finance ministry paper was leaked by the German press. 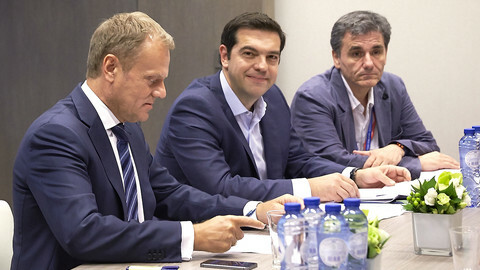 It posited a five-year Greek exit from the euro, but it also proposed an alternative, in which Greece would have to "improve their proposals rapidly and significantly”. The improvement should include "the transfer of valuable Greek assets of €50 billion to an external fund," the paper said. The paper said the Greek proposals on "labour market reform, reform of public sector, privatisations, banking sector, structural reforms [were] not sufficient”. 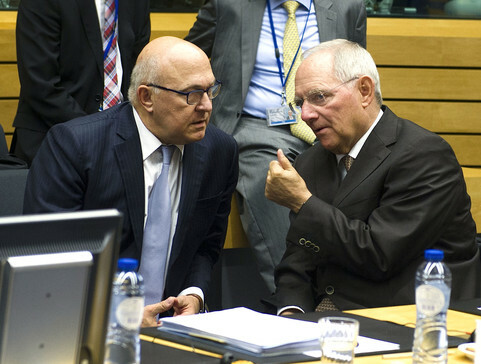 According to various sources, Schaeuble insisted at a euro ministers’ meeting on Sunday on including references to these requested "improvements" in the Eurogroup statement that will be passed on to eurozone leaders. The paper represents the German position, and was approved by Merkel, German sources said. It sets even tougher conditions for Greece than in the previous bailout memorandums. It may be a bargaining position to get as many guarantees from Greece as possible before lending it up to €74 billion more. But it may also represent a serious intention to kick Greece out of the eurozone, or to bring about the fall of Greek PM Alexis Tsipras. 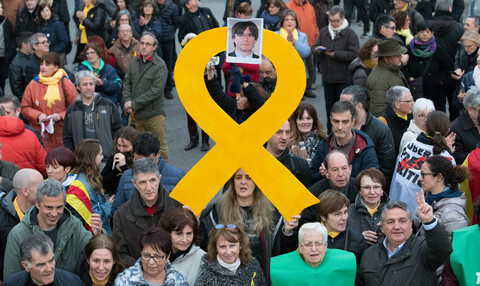 But the truth will only become clear after a summit which, several leaders said on Sunday, could last late into the night. "We've come a long way, but a couple of big issues are still open. 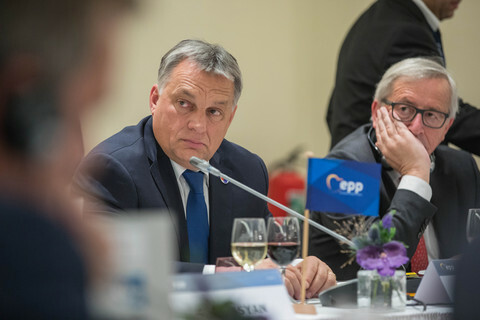 We're going to put them to the leaders and we'll see", Jeroen Dijsselbloem, the Dutch finance minister, said on Sunday as the Eurogroup passed the baton to the 19 heads of state and government. Eurozone ministers will meet again on Sunday, amid German ideas of a temporary Grexit and Finland's warning it cannot agree a deal. The Greek government has unveiled plans for a €13 billion austerity budget in a last-ditch attempt to secure a debt deal with its EU creditors. Greek government given “final deadline” until end of the week to present reform proposals, with Juncker saying a detailed Grexit scenario is already prepared. After Adenauer and Kohl, Merkel doesn't want to be remembered as the chancellor who saw the EU dealt its first hard blow in 60 years. German threat of temporary Grexit and calls for control of Greek state have given rise to one of the most bitter EU summits in history. 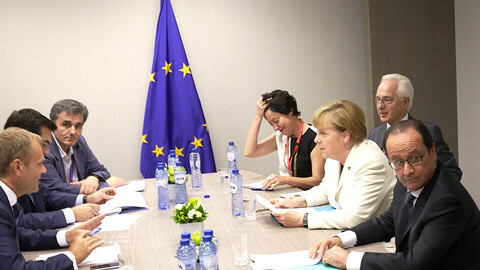 Eurozone leaders reached agreement over a new Greek bailout Monday morning, after more than 16 hours of edgy talks.